A simple line plot with custom color and line width. A shaded region created using a Polygon patch. A text label with mathtext rendering. 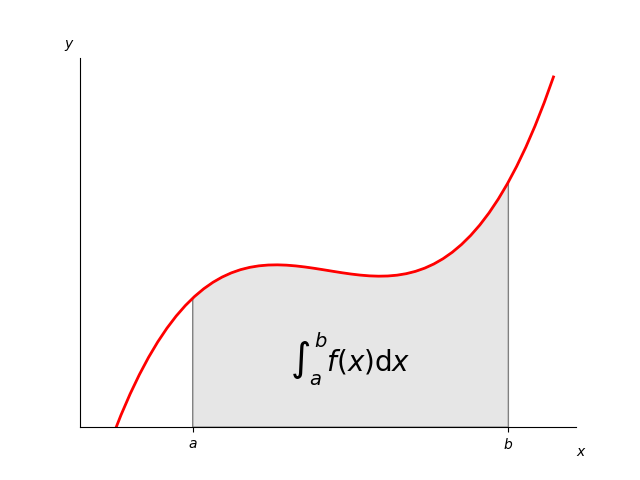 figtext calls to label the x- and y-axes. Use of axis spines to hide the top and right spines. Custom tick placement and labels.